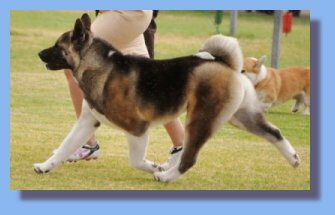 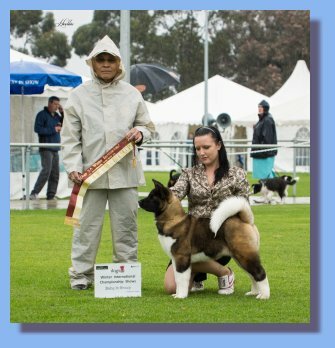 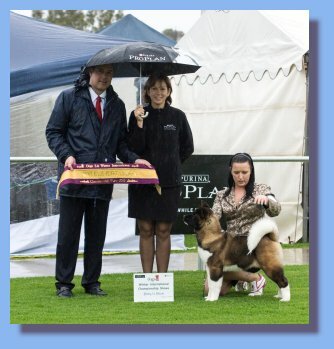 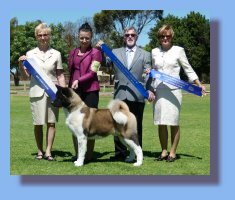 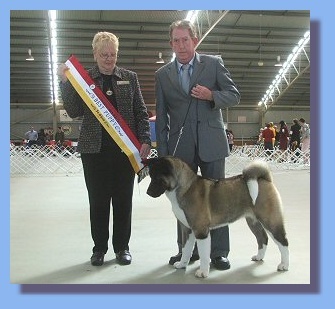 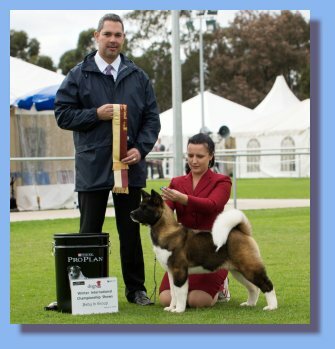 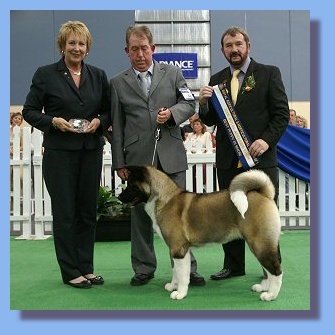 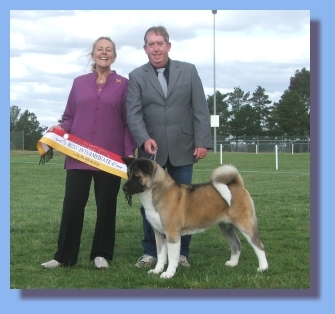 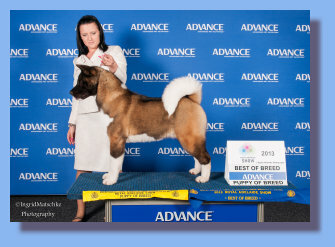 Fabulous weekend for Shokuma Akitas at South Australia's second biggest weekend of shows on the calendar, Shokuma Razzle Dazzle won BABY PUPPY IN GROUP on Friday under Judge : Yoshiio Mori (Japan) and BEST BABY PUPPY IN SHOW under Judge: Marcello Mesquita (Brazil). 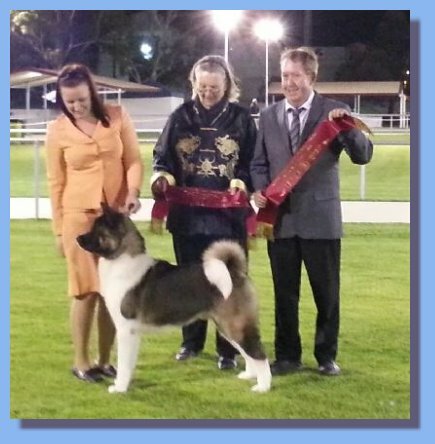 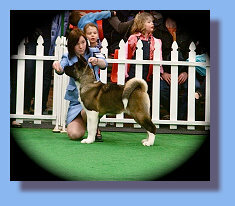 On Sunday Shokuma Razzle Dazzle won BABY PUPPY IN GROUP under Judge: Marcello Mesquita (Brazil). 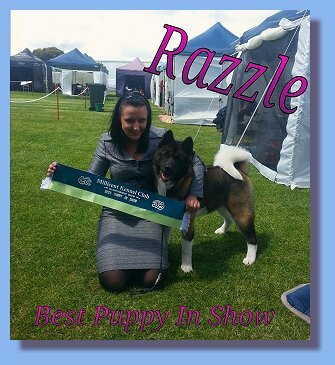 Shokuma Razzle Dazzle sired by UK Imp CH Ruthdales Unleash the Fury. 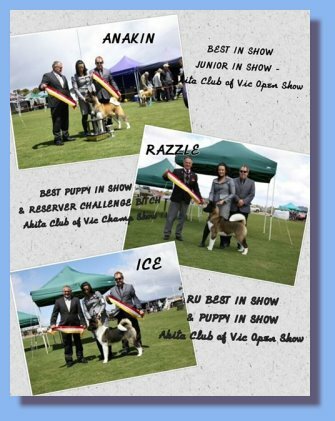 3 Best of Breeds, 2 BEST EXHIBIT IN GROUP (Group 1st) & 3 BEST JUNIOR IN SHOW, at only 15 months of age. 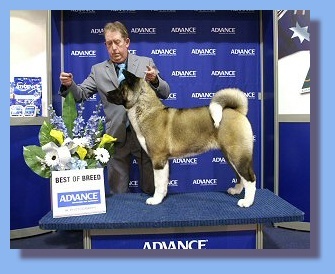 Judge Mr Sigurd Wilberg (UK). 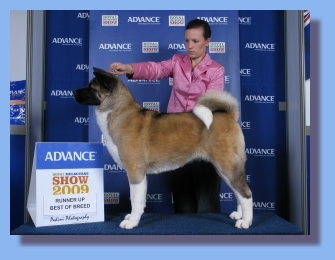 CH Shokuma Believe in Me "Coco"